Nola Hylton, PhD, is a Professor in Residence in the Department of Radiology and Biomedical Imaging, Co-Director of the Breast Cancer Research Interest Group, and Director of the Breast Imaging Research Group at the University of California, San Francisco. 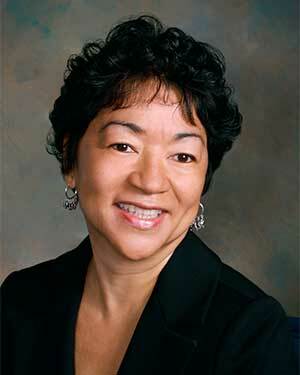 Dr. Hylton received her BS in Chemical Engineering from the Massachusetts Institute of Technology in Cambridge, Massachusetts in 1979, and she obtained her PhD in Applied Physics from Stanford University, California in 1985. Dr. Hylton has been integrally involved in the development of magnetic resonance imaging for the detection, diagnosis, and staging of breast cancer. Dr. Hylton is an internationally known leader in the field of breast MRI for more than 20 years. Her search has addressed the clinical optimization and evaluation of breast MRI technology. Her current research program focuses on the development and clinical evaluation of MRI techniques for characterizing breast cancers and assessing their response to treatment. Her laboratory collaborates closely with a multi-disciplinary team of radiologists, surgeons, oncologists, and science researchers nation wide. This is to optimize MRI techniques for the clinical management of breast cancer patients. Dr. Hylton is among the first group of scholars named the Susan G. Komen for the Cure’s Scientific Advisory Council. She served as co-leader for the DHHS office of Women’s Health International Working Group where she identified and addressed barriers to clinical dissemination of breast MRI. She also served as the institutional Principal Investigator of the NCI International Breast MRI Consortium, which is the first large multi-center clinical trial evaluating breast MRI for breast cancer diagnosing and staging. Dr. Hylton has over 80 published research articles, and she has written 13 book chapters and over 130 abstracts.